In the middle of Bohuslän you will find Gullmarsstrand – 0 meters from the sea. Add to the pier just outside the hotel. Enjoy a lovely hotel breakfast, lunch, a la carte in Restaurant G.
Exercise in our gym, enjoy a sauna or book a relaxing spa treatment. 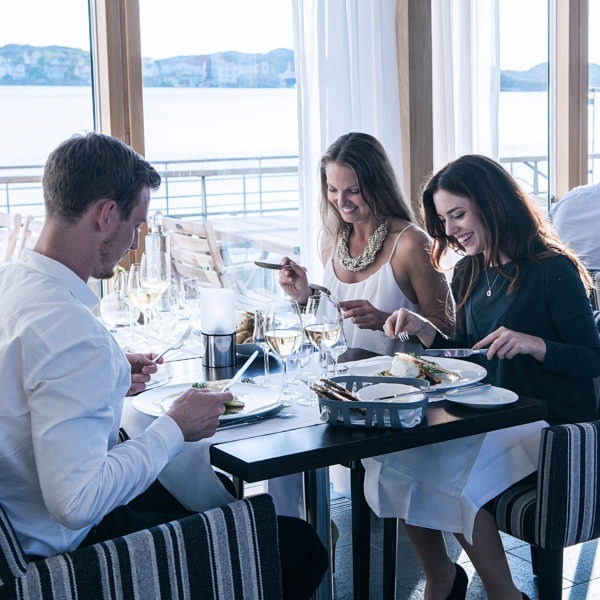 In our restaurant, we serve menus based on each season, such as lobster supper, Easter buffet, Christmas smörgåsbord and New Year’s Eve dinner.